By age 35, almost half of the American male population is suffering from some level of hair loss. Hair loss can be a major hurdle for men, especially when it comes to their relationships and their career advancement. Male pattern baldness is medically known as androgenic alopecia. This occurs when levels of Dihydrotestosterone (DHT) hormone increase, which causes the hair follicles to shrink. This rise in hormone is typically a genetic predisposition. Men experience the thinning and eventual baldness around the crown of the scalp first. Fortunately, hair loss is treatable. In fact, there have been significant advancements in hair restoration in recent years. If Rogaine or other hair growth products are simply not working for you, you can opt for hair transplant surgery. 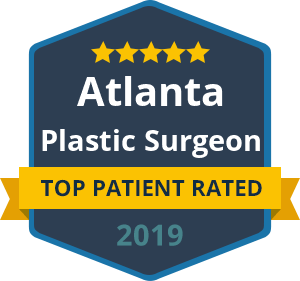 While past methods of hair transplant surgery left linear scarring and required longer recovery, today’s technology offers remarkable improvements. The NeoGraft system is considered the most revolutionary and least invasive hair transplant available. NeoGraft uses an automated follicular unit extraction or FUE technique, which means that the follicular unit grafts are individually removed from the donor area of the scalp and directly implanted to the thinning or balding areas using advanced, minimally invasive technology. This method stands in stark contrast to past “strip method” hair transplants that use a FUT technique. FUT involves removing an entire strip of tissues from the donor scalp and then separating the individual follicular units using microscopic dissection before transplanting the grafts. The major drawback to strip method hair transplantation is the unsightly linear scar that is left behind. No scalpel, no incisions, no stitches and no linear scar! To learn more about our revolutionary hair transplant techniques at The Beverly Hills Center for Plastic Surgery, please give us a call. We want to eliminate the burden of hair loss and help you stay confident in your career and relationships.